BlackBerry is at a critical point in the company’s life, with market share rapidly declining and a sour public image, the company needs a lifeline to help resurrect the company. 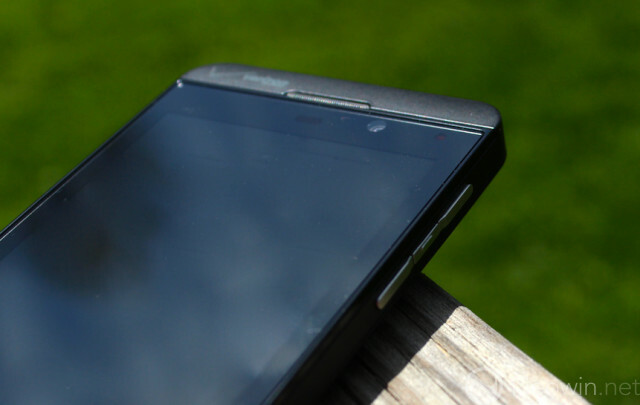 Step in the Z10, which is currently available on Verizon running the new BlackBerry 10 operating system. The Z10 represents a pivotal device for the company as it is a departure from the classic devices that have the legendary keyboard that made the company famous and moves into the slab style smartphone where the company has continue to struggle. History aside, it’s time to take a long deep look at what BlackBerry is selling as their current flagship to see if the phone will meet heavy expectations of the consumer market. The phone sports a 4.2-inch LCD at 1280x768 resolution, an 8MP shooter out back with LED flash, 2 MP front facing camera, 1080P video recording, 16 GB onboard storage, microSD, support, 1800 mAh battery, and 1.5GHz dual core Qualcomm processor drive all of the software. On paper, the phone looks great with a modest spec list that should keep it in competition with other high-end phones and justify the $199 price tag that the phone currently commands. As with all of Verizon’s new smartphones, the Z10 has LTE onboard, which will keep you connected to the high-speed mobile airwaves that Verizon has been aggressively building out the past few years. Specs aside, we should note that the differences in hardware among the top-end phones are quickly shrinking. As with many other pieces of hardware, the specs are more than enough to drive the software of today so any small differences (other than storage) are relatively negligible at this point as software optimization is far more important than hardware specifications. 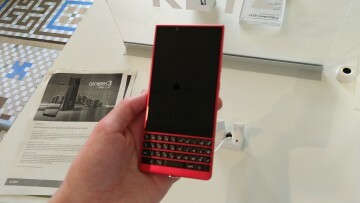 It’s clear that when BlackBerry set out to design the Z10, they were not looking to win any design awards. The device looks like a blend of the HTC One and an iPhone 5. Now, this is not to say that they copied either of these devices, as the phone was likely in development long before these two phones were released, but you can see the similarities. The look is all corporate, which should not come as a surprise as BlackBerry became famous for its corporate drive and friendliness to IT admins. The muted black look is traditional BlackBerry but the materials feel a bit like metal but is actually plastic that has a hollow sound when taping on the device. The back of the device does pop off to allow you to access the microSD slot and SIM slot. 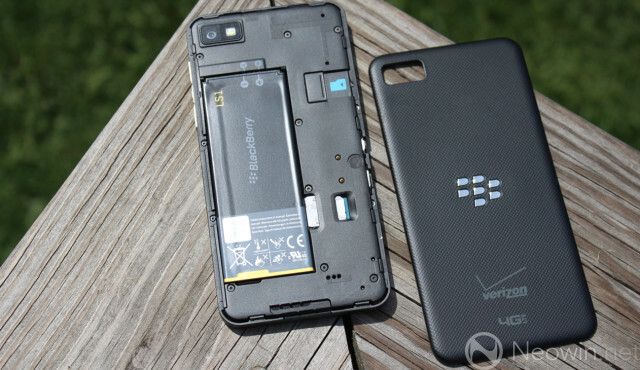 The back of the device is pure BlackBerry, literally, as all that is on the back is the logo of the device with the front featuring the name of the company at the bottom and it does provide for a clean, sleek, look. There is nothing wrong with the design of the phone and it’s clear that BlackBerry wanted to play it safe and try to reach as large of an audience as possible. 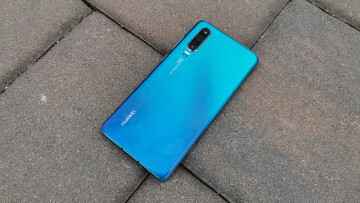 In addition, by only offering one color, it keeps manufacturing costs down but limits the uniqueness of the phone when compared to the Lumia and HTC Windows Phone offerings. Besides the actual exterior of a phone, the display is arguably the most important aspect of any modern device. Considering that you will spend nearly all of your time while using the device looking at the screen, and for the Z10, it does a modest job at appeasing our needs. 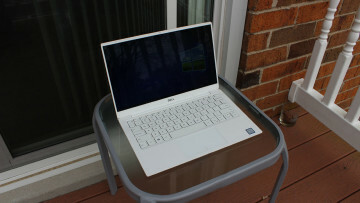 Sporting a resolution of 1280x768 with 356 pixels per inch, the screen has the specs to be a market contender. The color reproduction, off angle viewing, and color saturation is excellent and will appease everyone who picks up the device. We did notice that our device was a bit warm in colors, and this was highlighted more so in direct sunlight, but generally, this display is quite good. Touch response is also highly accurate and gestures were picked up without any major issues. We experienced no lag with the input and as far as touchscreens go, this one falls in line with our expectations. As noted above, direct sunlight viewing is still only average. While the outside of the device may look like an ordinary smartphone, it’s the OS that separates this device from the others on the retail store shelves. 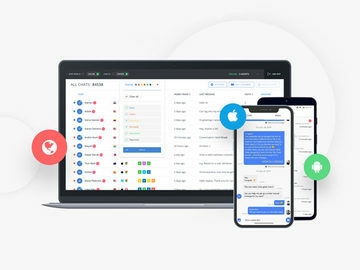 The platform is built around gesture support and it’s one of the many unique things about the OS that help separate itself from the other grid style mobile operating systems such as iOS and Android. 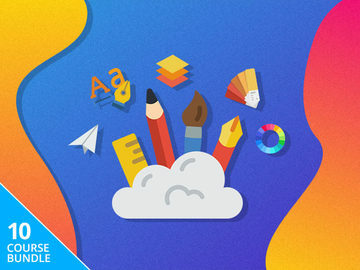 BBOS is best thought of an OS that contains functional areas as the OS is partitioned in ways that allow you to find all of your content in multiple areas but with consistency. 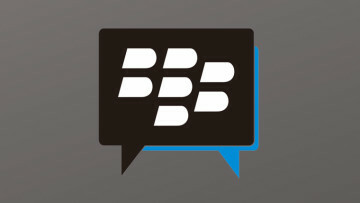 The center of this is in the BlackBerry hub but the applications as it contains your messages and the OS does include a notification center as well. Unlike other platforms, the home screen shows your running applications with live tile-like functionality but this is dependent on the application to support such features. From the home screen with the applications running, you can begin to see how gestures are tied deeply into the platform. 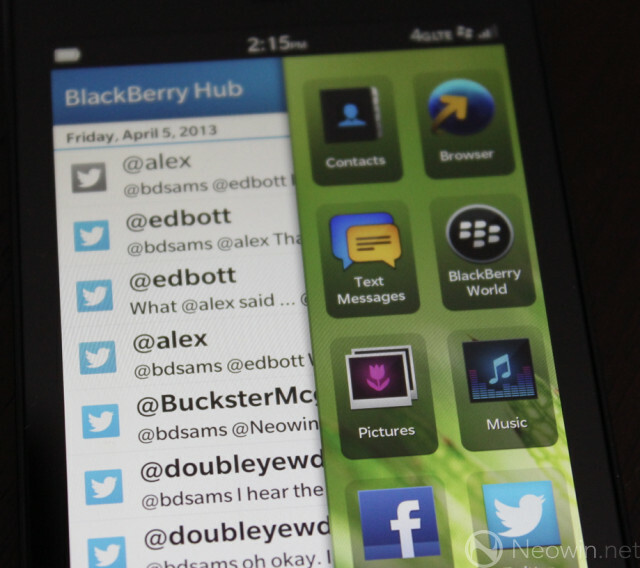 Swiping either left or right will bring up either an application list or the BlackBerry hub to navigate around the OS. It’s an interesting idea to build gestures deep into the OS and it shows potential but what it lacks is consistency between applications and screens that leaves you bit aloof as to how to reach certain parts of the OS. 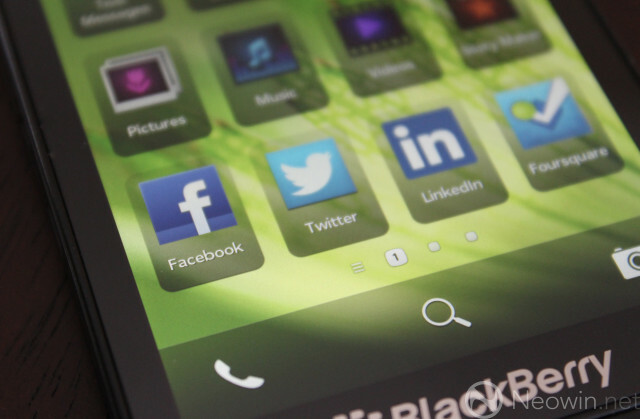 The BlackBerry hub is the catch all for your email, BBM, SMS, Twitter, and any other social type of application will link into this area. The messages are neatly stored here and present a one-stop shop for these types of notifications. It’s a nifty feature but is certainly not unique to the platform with iOS and Android having similar features and is certainly far from perfect on BB10. One aspect that is quite annoying about the hub is that if you have a pending notification, you are unaware of this unless you look at the hub which detracts from the ability to know exactly what messages you have waiting for you. 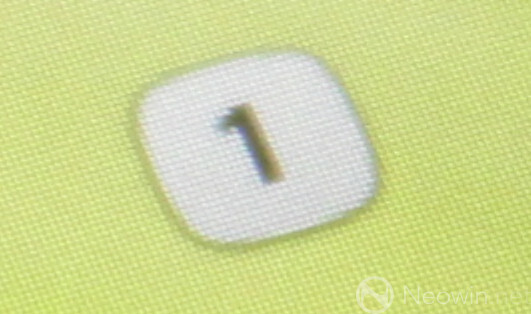 The phone also has few dedicated buttons as well, including the crucial navigation buttons such as a back button. Navigation is application dependent which removes a critical component from hoping around the OS, consistency. 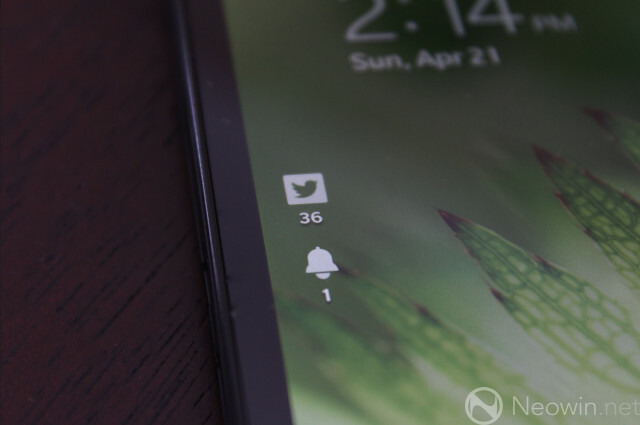 The question is if having the inconsistencies and little nuggets such as notifications are a deal breaker for the OS. While it’s not a bad OS, the issue here is that it’s not great either. There is certainly room for improvement such as a tutorial to show you all of the gestures that the OS utilizes such as the drawer that pulls down from the top of the screen that reveals that application settings. BB10 was a bold attempt at redefining navigator for a mobile OS. Does it show potential? It certainly does but what BB10 delivers is a disjointed experience that may leave many users frustrated with the out of the box experience. Navigation an app drawers aside, on thing that BlackBerry did implement quite well is the keyboard. While digital keyboards are a dime a dozen right now, BlackBerry went back to its roots and found a way to make theirs even better. The keyboard brings along with it predictive text, which is nothing new, but they way you add a word is simplistic and easy to use. As you type, words will appear above the corresponding letter to allow you to ‘flick’ it in to your sentence. For example, if you type, “Where do you want to go for,” the words dinner would appear over the D, lunch of the L and breakfast over the B. It’s a simple little trick that makes typing faster which is at the heart of BlackBerry’s legacy. The phone also comes with its own web-kit based browser and we are happy to report that it lives up to modern browser expectations and surprisingly includes native Flash support. Scrolling, zooming, and videos all played as you would expect and text appeared to render sharp and quickly. 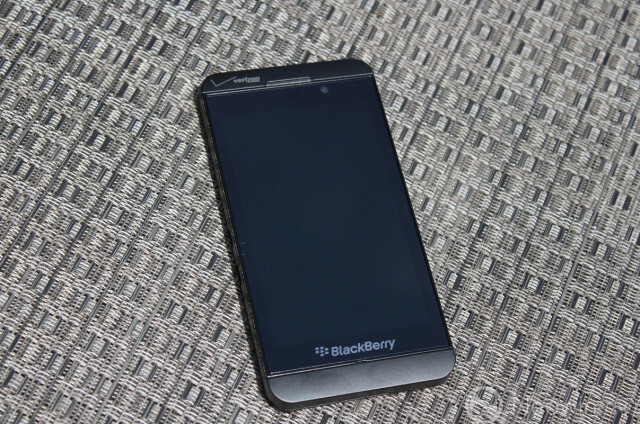 Running around the web with the Z10 was fast and left us impressed with the implementation. As a former, and heavy BlackBerry user, their browser has come a very long way in the past few years and can finally hold its own against iOS, Android and Windows Phone. The phone also includes your other standard applications like a remember application, maps, twitter, and a few others. In general, the apps felt sub-standard compared to their counterparts with the Twitter app being considerably behind that of even Windows Phone. The same can be said about the other apps that come installed, while they do complete their assigned task, none of them appear to be a best in class application. With that being said, BBM is still well ahead of most other applications with a cool feature called screen sharing that, as you would guess, allows you to share your screen with another BlackBerry user. Now, with that being said, we didn’t know of anyone who was using a Z10 on a daily basis to test this feature out (we only had 1 review unit). The Z10 has meaty specs under the hood, but translating that to real-world performance depends heavily on the software optimization. That being said, the Z10 performs well and transitions smoothly from app to app and gesture-based actions are greeted by swift response from the OS. Web browsing was only limited by the connection to the corresponding server as the phone had no issues pulling down content and promptly displaying the images and text. Videos streamed beautifully with minimal hiccups while watching a few clips of cats on YouTube. Connections to your local WiFi were well within expected tolerances and opening and closing applications rarely hiccuped. As you would expect with a phone company who has been around as long as BlackBerry, the call quality on the Z10 is on par with the best in the industry with the speakerphone performing quite well, even at loud volume. We did have a few instances of applications hesitating when switching between open items but this was the exception and not the rule for the device. But for BB10 to be fresh out of the gate, the team has done a good job at ironing out many of the bugs that you typically might expect with a new platform. While performance was on par with our expectations, battery life comes up short of the finish line. As with most devices that I review, I use the device in-place of my daily driver. As such, the Z10 would come off the charger around 7 a.m. as I head into the office and the phone would rarely make it late into the work day. 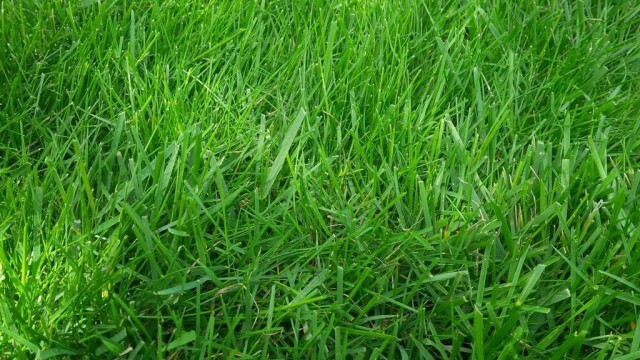 On heavy days, it would be drained by about 2 p.m., on an average, day I could make it until about 6 p.m.
Each user will have a slightly different experience with the battery but for reference, an iPhone 5 will easily last an entire day, but usually dies around 8 p.m. and the Droid Razr Max HD, would outlast all devices and could easily last until midnight or later. 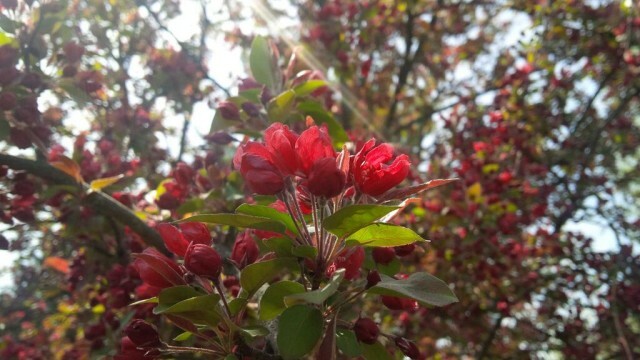 The Z10 packs a modest sensor with 8 megapixels to capture all of the light on the other side of the lens. The camera produced above average photos and a few nifty tricks in the BB10 bag, such as TimeShift, made it easier to obtain the shot you were looking for. The TimeShift takes a series of images before and after you hit the shutter button and you can then pick the best image. 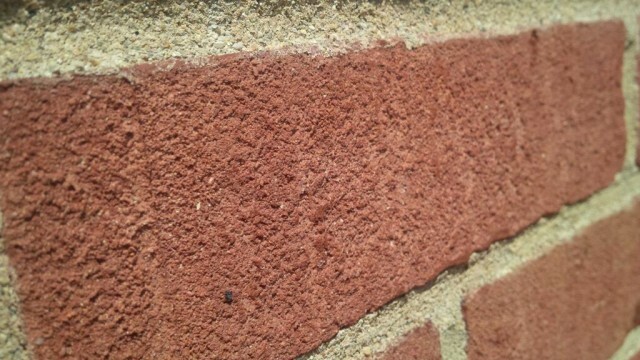 It’s a nifty feature and increased our ability to only need to take one shot to get the image we wanted to capture. The focus did take a bit longer than we were expecting and the colors were generally more muted than other sensors in the same class; low light shots were middle of the road compared to the well-lit scenario photos you see above. But, this is a smartphone and the shots will be acceptable for the majority of users. For those looking for ultra-high end shots, you will still do much better with a DSLR but for a smartphone, the camera competes with the higher-end market. The Z10 represents a new step for BlackBerry, as it’s a truly unique device from a software perspective but also characteristically familiar thanks to its conservative shell. What BlackBerry set out to do was redefine itself with a gesture based OS and for that, we commend the company on stepping out of its orthodox comfort zone. But what the Z10 brings to the table, unfortunately for BlackBerry, is nothing that dramatically separates itself from the others in the market. While the OS is good, even though it has a few issues that can easily be fixed with software updates, it does not offer anything compelling over iOS or Android. Windows Phone has a unique UI that gives it an identity, but the Z10 lacks enough soul to drive users to switch, which could be devastating to BlackBerry. If you currently have any other smartphone on the market, switching to the Z10 will require you to abandon all of your paid apps. While that may not be a big deal for some, once you land on the other side, the Z10 doesn’t offering anything compelling to warrant that switch. Unless you proclaim daily that our current device needs sidebar gesture support, the Z10 is nearly the same as iOS and Android minus a few operational changes. For those with a current BlackBerry, the Z10 might be the phone you have been looking for as it does feel and look like classic BlackBerry and has a fantastic keyboard to go with it. While we would not say the phone is bad, in fact we are impressed with how polished the first version is, there is not a driving force on why you should forgo established platforms for the new, but somewhat familiar, Z10.